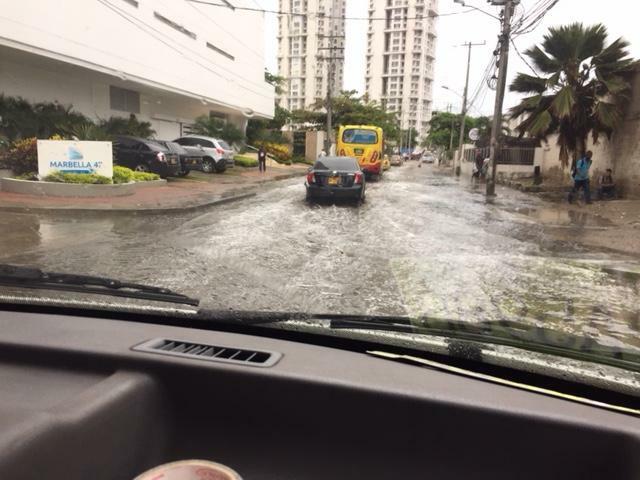 There’s been a downpour for about 1/2 an hour, and this street and a few others are not draining well! 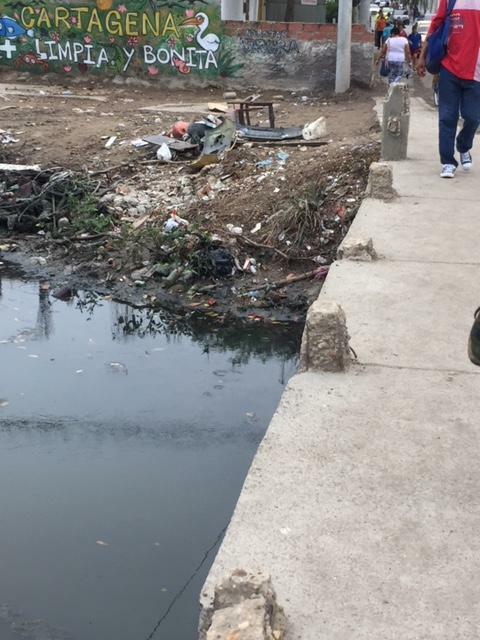 Here’s the solution for the edge of one street – wooden skids to make a bridge! 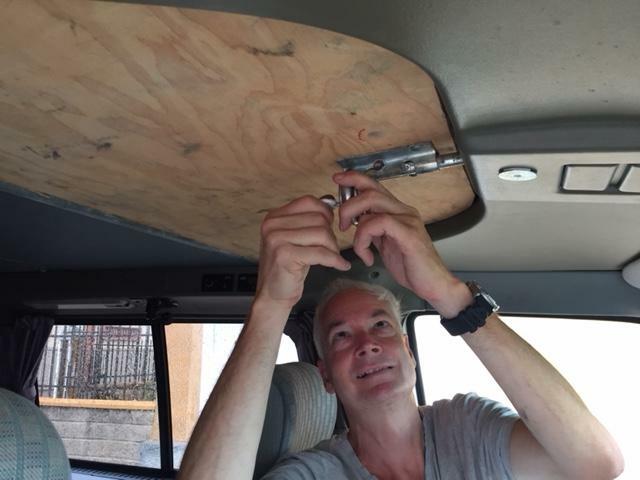 plywood which he’s bolting locked so hopefully nobody will steal anything. 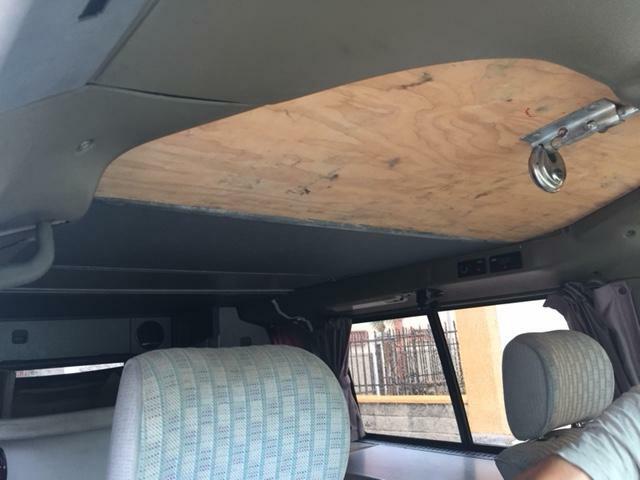 Panama, where the van will change ships, is notorious for thefts at the dock. 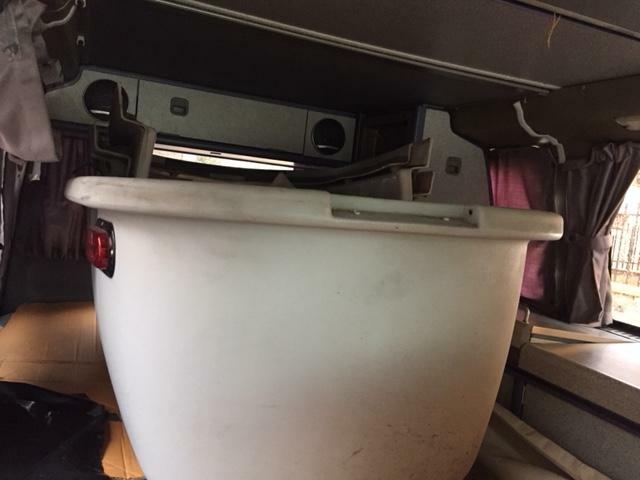 and the caboose is off the hitch at the back of the camper and now stored behind the driver and passenger seats. We’re staying in a cheaper district than the centre of town to be close to the shipping company that we will have to visit several times. 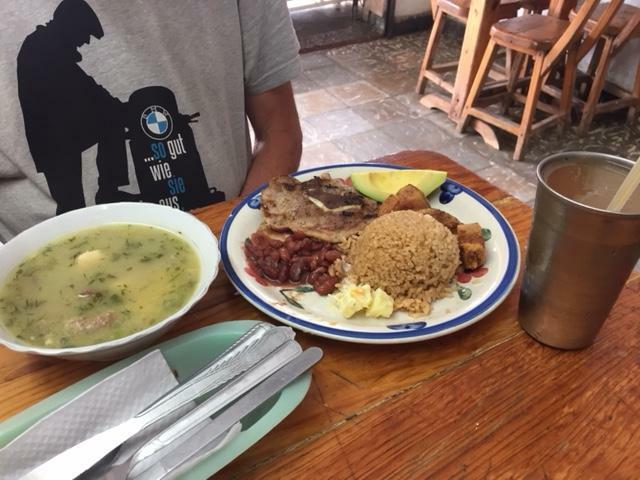 This is a standard lunch comprising (oversalted) soup, a plate of rice, beans, very dry meat and (here) some delicious crackling and some avocado as well as a fresh fruit juice. Price:$3.00 per person. 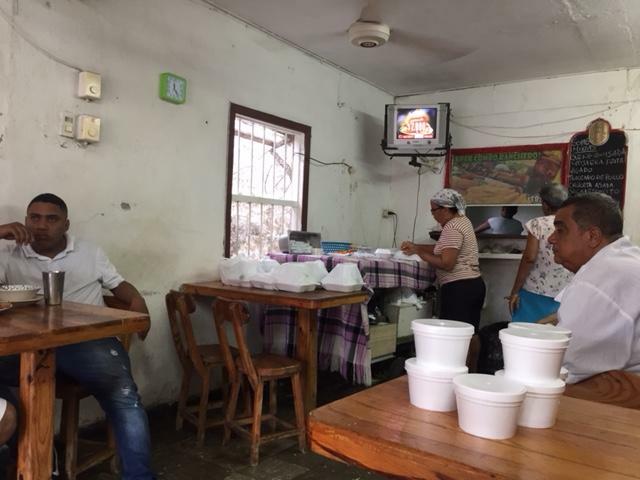 It must be a popular restaurant as the staff are organizing all the take-outs. 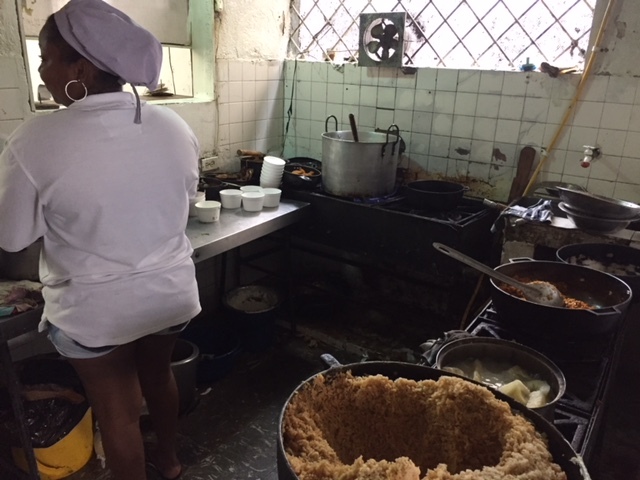 This is the size of the restaurant’s kitchen, in which 3 cooks work. 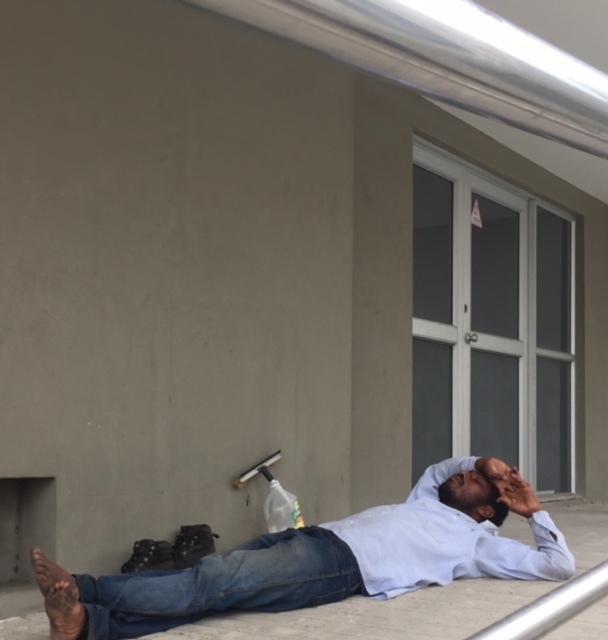 In the shade outside the smart office building of the shipping company we’re using, we see this squeegee man taking a siesta two days in a row. You can see his squeegee and soap and water bottle against the wall. 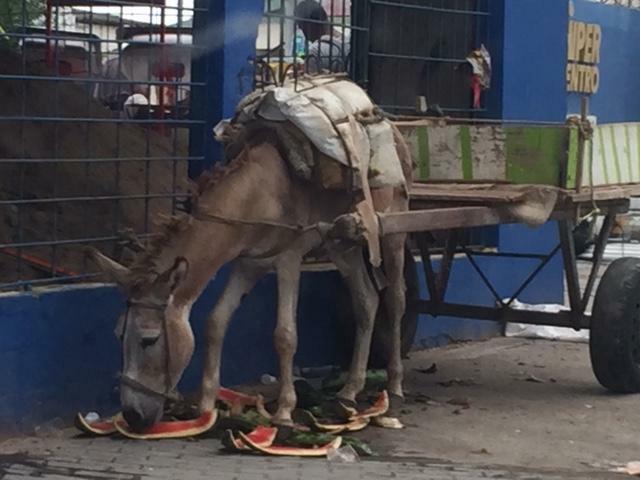 On another street is this mule enjoying some water melon. 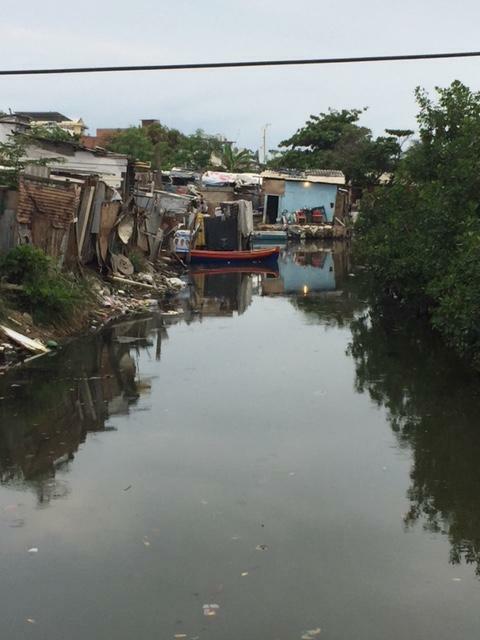 Walking to and from our hostal to the shipping company, we cross this canal. I pull out my iPhone to take a picture showing there’s no handrail on the edge of the bridge. 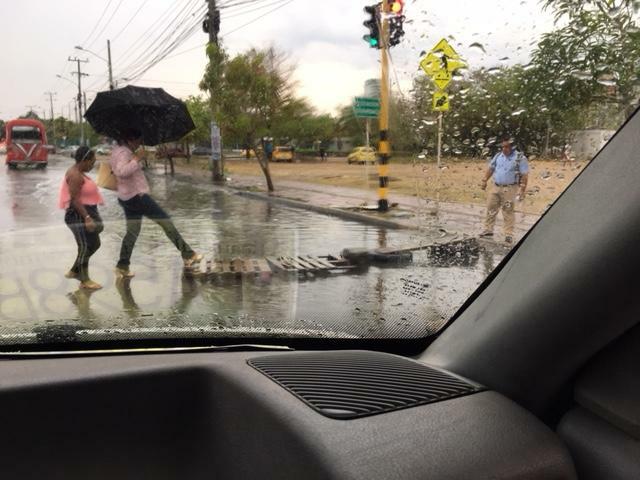 About 2 minutes later a man on a bicycle stops us to say, “This is a dangerous street. Don’t put your camera out.” He’s really kind to warn me, and I make a mental note to be more careful of when and where I pull out the phone as I was being careless. Pickpockets can be everywhere, and our guide book recommends tourists go inside a store or stand in a doorway to use their phones, such as when checking their maps, rather than looking like a wealthy tourist in the middle of the street. I don’t want to get robbed right at the end of our trip! Hi Cathy, Chilling in Cartagena – I think you’d love it here! Yes, the trip has lived up to our expectations, and we’ve learned so much about different ways of life and cultures. We will definitely travel more slowly next time and with far less stuff! Africa will be our next big trip, not sure how far in the future yet!